Gloria Taylor, the 64 year-old woman who fought courageously to change Canada’s law on assisted dying, died on Thursday, October 4th, 2012. Gloria had ALS, also known as Lou Gehrig’s disease, and was the lead plaintiff in the B.C. Civil Liberties Association’s death with dignity lawsuit. The B.C. Civil Liberties Association was profoundly touched by Gloria’s heroism, determination and generosity. Even as her own body failed her, Gloria fought tirelessly so that all Canadians would have choice and compassion at the end of life. Gloria’s dream of legal change for herself and all Canadians was realized in June when the B.C. Supreme Court ruled that the right to die with dignity is protected by the Charter of Rights and Freedoms, and granted Gloria a personal exemption allowing her the right to seek a physician-assisted death. The case was a major victory for choice and individual rights at the end of life. Gloria will be dearly missed by her family and by the many people whose lives she touched. We invite you to share your memories of Gloria and your condolences for her family below. Both public and private comments are welcome. Please indicate in your comments if you would prefer to have them remain private, and we will ensure that they are appropriately directed to her family. Gloria was a daughter, sister, mother, grandmother, postal worker, residential care worker, motorbike enthusiast and health advocate. Although Gloria was frequently in the public eye in her final years of life, she often remarked that she was “just a small town girl” unaccustomed to public attention. She was born and raised in Castlegar, B.C and lived most of her life in Westbank, B.C.. She was one of four sisters in an extremely close-knit, high-spirited family. Her mother, a former hospice coordinator and lifelong volunteer for various worthy causes, was her inspiration for trying to make a difference in the world. Gloria was a mother of two beloved sons and a grandmother to a cherished 12 year-old granddaughter. Gloria was constantly trying to make the world a better place for those around her. After she was diagnosed with ALS, Gloria founded a Kelowna support group for people living with ALS and she was actively involved in raising money for groups that support people who are living with ALS and their caregivers. Gloria died suddenly and unexpectedly from an infection. Due to the acute nature and brief course of her illness from the infection, Gloria did not need to seek the assistance of a physician to end her life. In the end, Gloria’s death was quick and peaceful. Gloria died in hospital, with her mother and a close friend by her side. Gloria’s family told us that until the moment she died, Gloria firmly believed that all Canadians should have choice in dying. Gloria and her family were extremely grateful that the B.C. Supreme Court granted Gloria the choice to decide how and when she would die. Gloria was able to live her final days free from the fear that she would become trapped in a body that had failed her; she was able to face her illness with dignity and grace. The B.C. 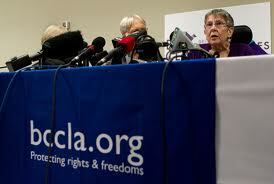 Civil Liberties Association has been moved by Gloria’s spirit of courage and determination. We are honoured to continue her fight for autonomy at the end of life. You can find out more about the ongoing Carter v. Canada case here. The BCCLA and individual plaintiffs are represented by lawyers Sheila Tucker of Davis LLP and Joseph Arvay, Q.C. and Alison Latimer of Arvay Finlay. Here, our Executive Director David Eby offers a special thank you to these exceptional individuals. We thank you for your show of support. What a life well lived. Gloria, thank you so much for your time and energy in bringing this issue forward, and to the BCCLA and legal team for continuing this fight. My sincere condolences to the Taylor family. Gloria, your legacy will continue. Thank you. Thank you, Gloria. The courage of your example inspires us all. Thank you Gloria. Your gracious courage has helped pave the way for all those who wish to die with dignity should that time come. Thank you to a courageous woman! Gloria put a very real face to the issue that we could all identify with. It prompted me to support the BCCLA even before the inevitable appeal was filed. Thanks for making it real to all of us. From what I’ve seen of her (Thanks to CBC for the quality of their documentary.) she was a person of principle and integrity. I hope her clear voice and her clear words will be heard. Thank you Gloria for all that you did in the time that you had. My baby brother passed away February 23, 2012 from ALS at the age of 37 years. He was diagnosed in January 2011, and he was given 6 months to a year to live. He was hospitalized in October 2010, and went through numerous tests and doctors were unable to find anything. In December 2010, he went into respiratory failure, and was put on life support. He lived the rest of his life on a respirator helping him breathe. He lost all mobility in February 2011, and spent the rest of his life having others feed him, bathe him, change a tv channel for him, brush his teeth, everything. He felt like a burden, and he truly wasn’t. He was the best little brother a girl could have. Full of love, spirit, humanity, and courage. I miss my brother every single second of every day, and I wish there was more I could have done for him. But thanks to you Gloria, there are families that have more choices and roads to travel. And I thank you for that. I thank you for my brother, who would have been so proud of all that you accomplished, and did for those with ALS. Just watched the Fifth Estate highlighting the ‘Life and Death of Gloria Taylor; what a remarkable woman led by a remarkable team at the BCCLA. 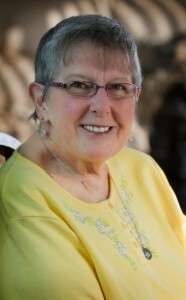 Gloria is an inspiration and her legacy benefits those who support CHOICE at end of life. Thank you all. Today Feb 06,2015 is a very special day. Today the supreme courts have officially passed the law to have the right to die with dignity, with assistance of the medical team involved. A truly courageous woman; an example to us all for what it means to live one’s life with purpose and integrity. Condolences to Gloria’s family, friends, and to her colleagues in the important fight for dignity and autonomy at the end of life. Well done sister! now RIP thanks. My heart is heavy today….missing one of my closest friends “Glo” I miss you. “Serenity Girl” you made your mark in this world before and after. I will never forget sending OUR purple balloons out to Tom…….now you get to receive yours as well! Thank you for having a voice for so many and making a difference in B.C. I love you “Red” I miss you more than words can say and you have done an amazing job at getting so much awareness out there for all to hear. Yes darlin, you shocked me as well as many others, I am sure, with your tribute to your journey. Dear Angel Gloria, I hope you meet my Mother in Heaven. Her name is Dorothy Weir. She died a very painful agonizing death from ALS over 30 years ago. I still miss her and I would have helped her if I could have, as she asked me too but I was a teenager she lived 5 years with it on feeding tubes and oxygen and she cried every day. I do not wish her back. But I wish Dignity with Dying gets passed all over Canada,for my Mom and for you Angel Gloria. Thanks so much for the fight you gave.